Completed in 1912, the Eastern Avenue Sewage Pumping Station opened as a critical engine of Baltimore’s then brand-new sewer system. City engineers built the station to house enormous steam-driven Corliss pumps capable of pumping up to 27,500,000 gallons of sewage a day. The utility of the building did not prohibit a bit of style. The engineers graced the structure with copper roof, gables, and a cupola, turning it into a handsome monument to the growth and development of the city celebrated by proud civic leaders. In 1960, the city replaced the aging steam-driven pumps with electric turbines. The building continues to operate as a pumping station up through the present. The Baltimore Public Works Museum occupied the building from 1982 up until the museum closed in 2010. The museum gave visitors a behind the scenes look at how a large city provides public works utilities to its citizens. The museum modeled phone lines, street lights, drains and pipes, and sewage disposal. 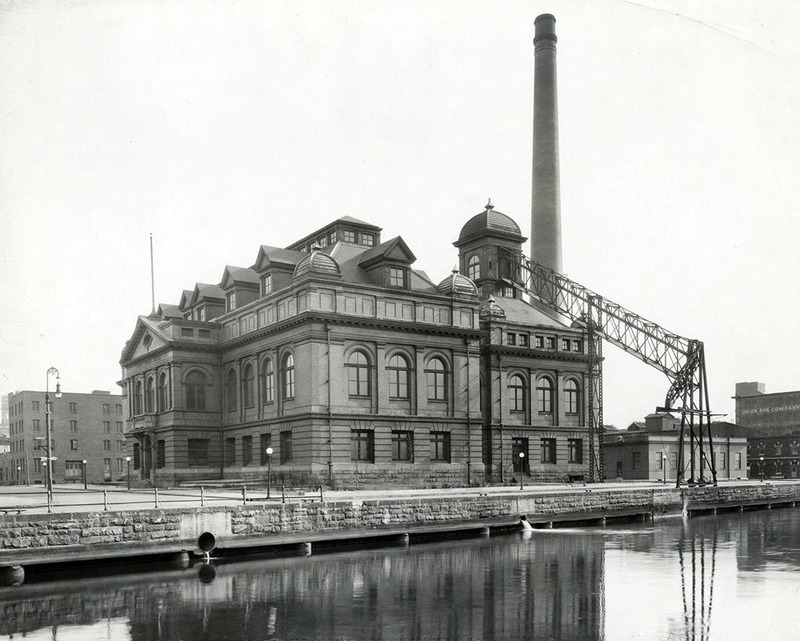 “Eastern Avenue Sewage Pumping Station,” Explore Baltimore Heritage, accessed April 19, 2019, https://explore.baltimoreheritage.org/items/show/387.